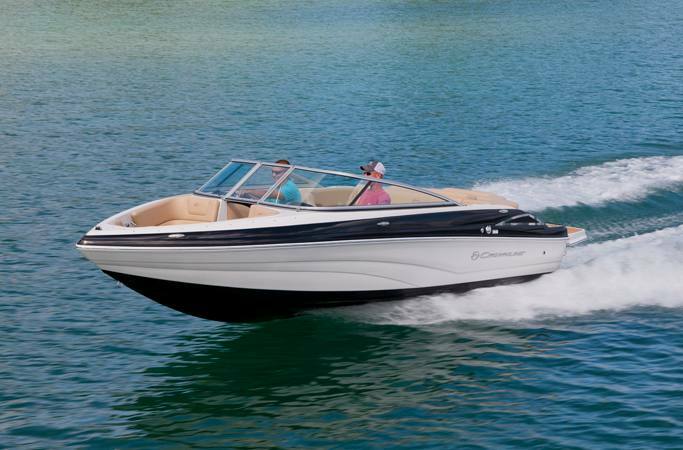 With a stylish design, thoughtful layout and sporty attitude, the new Crownline 205 SS is a great boat for watersports and is perfect for a day of relaxing or socializing on the water. 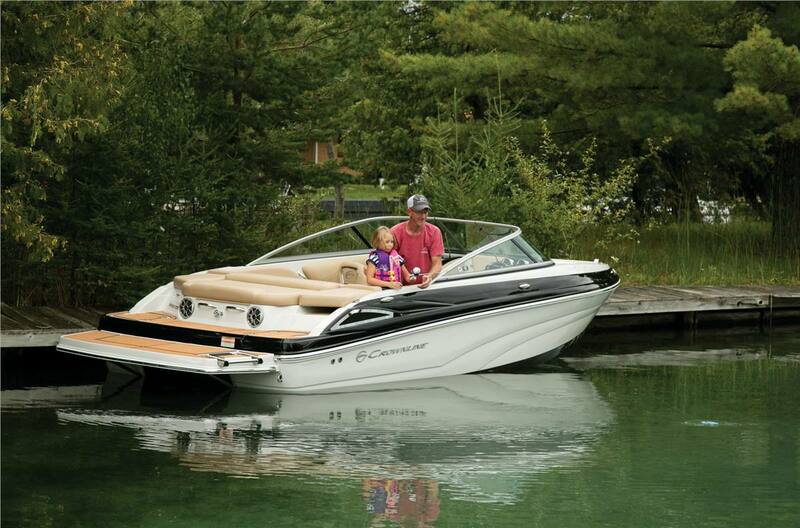 This sporty Crownline is a responsive, top-notch performer built for days spent waterskiing and wakeboarding. 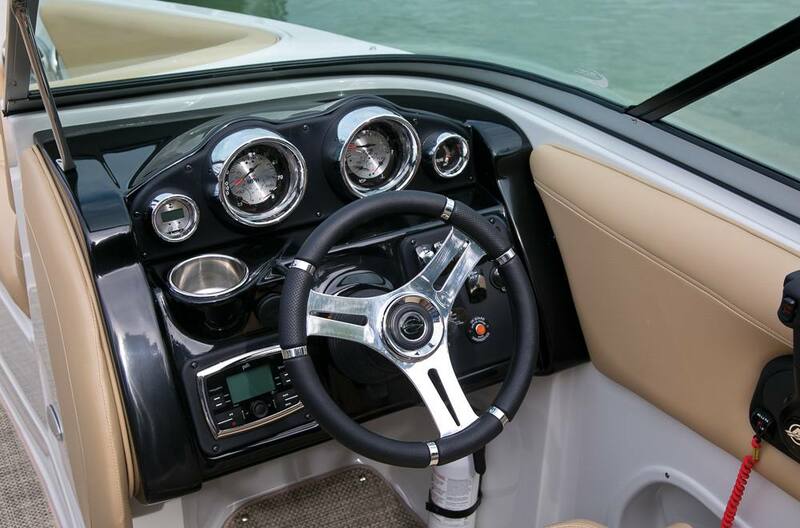 It features Crownline’s distinctive Fast Tab® Hull Design, which enhances the distinctive “sports car” styling, AND insures a safe and comfortable ride by increasing planning efficiency and stability in high speed turns. 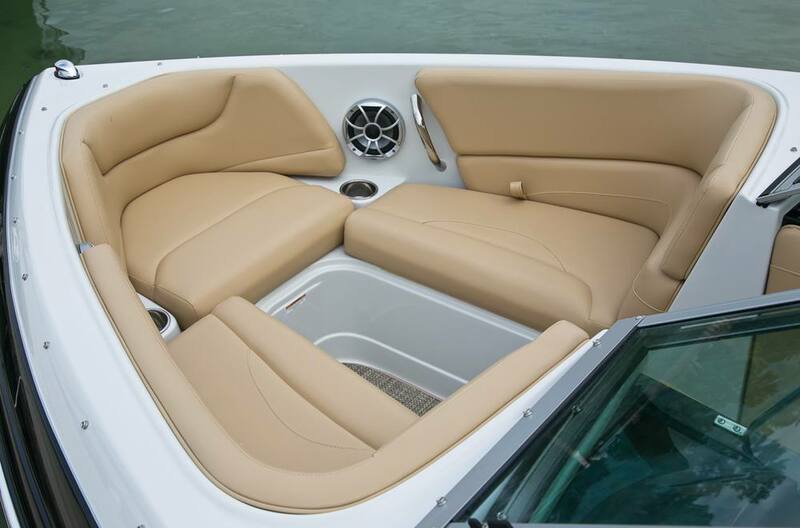 The spacious design of the 205 SS allows for a surprising amount of elbow room for a 21-foot boat, so you won’t feel cramped when hanging out with friends on the water all day. 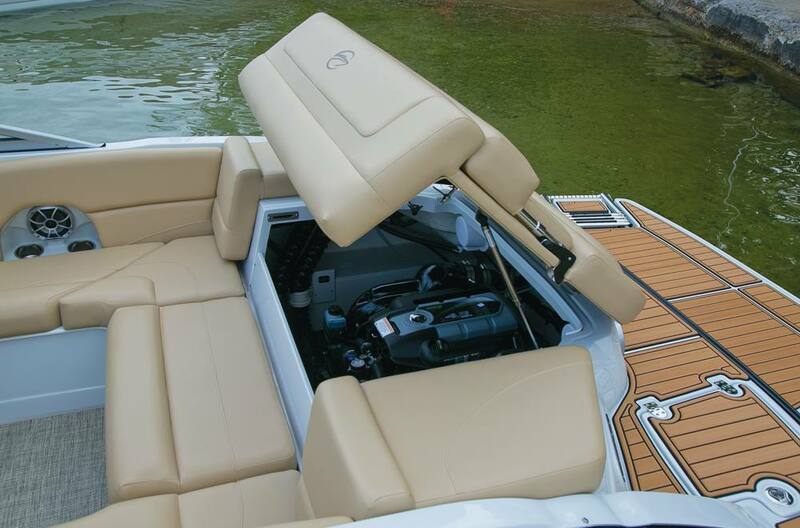 It has comfortable, U-wrap seating, plus driver and passenger performance bucket seats with flip-up bolsters. 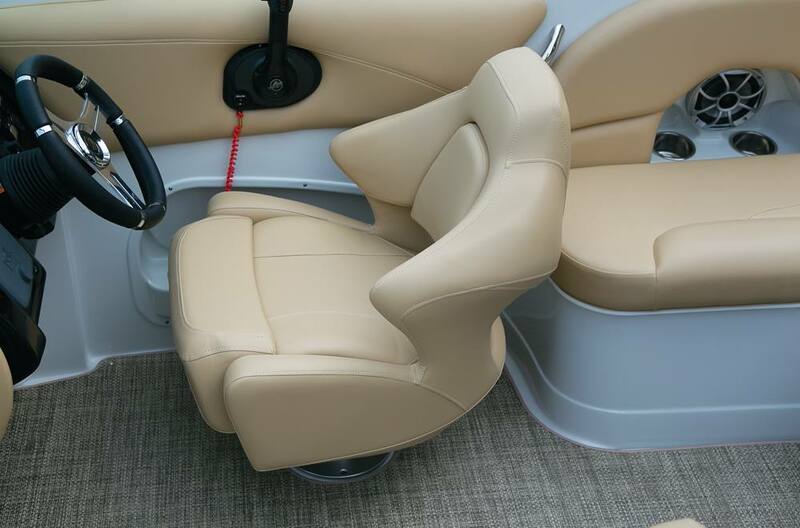 On the sundeck is a comfortable flip-up aft-facing backrest, ideal for lazy days spent lounging under the sun. 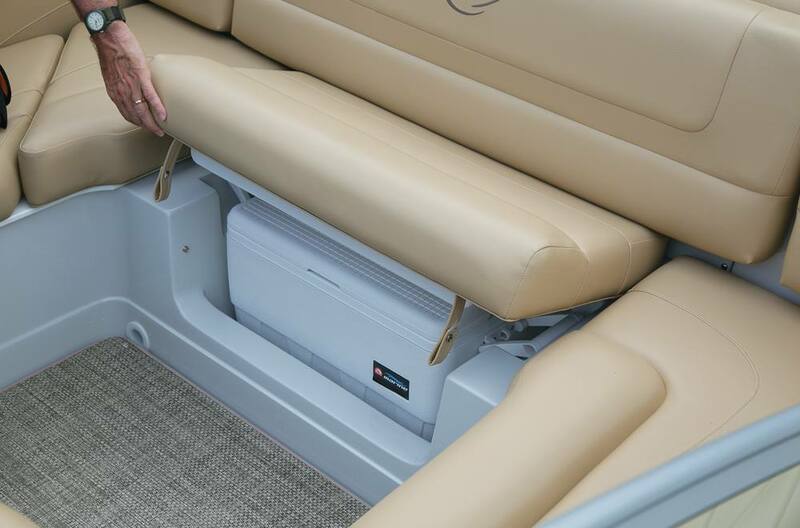 Depth Sounder w/Outside Air & Water Temp. 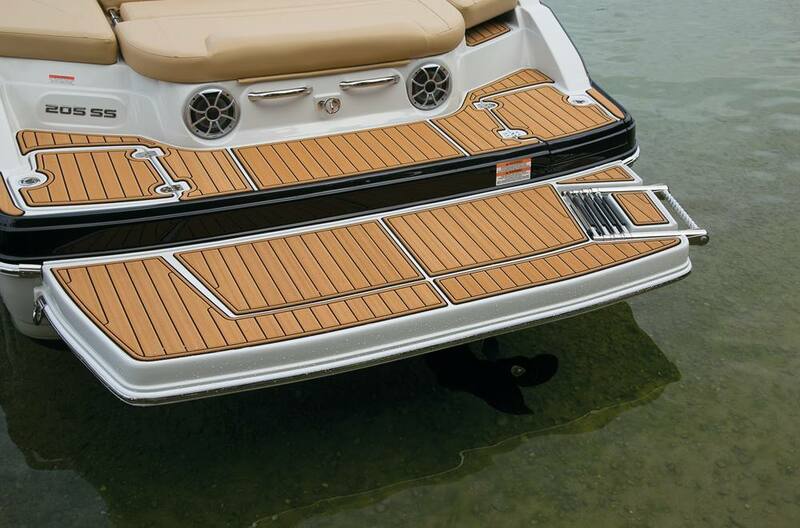 Torino (Solid Tan Vinyl w/Teak Platform Mat Inlays), Exch. Tri-Color Platinum Interior (Soft & Medium Grey Tones), Exch.